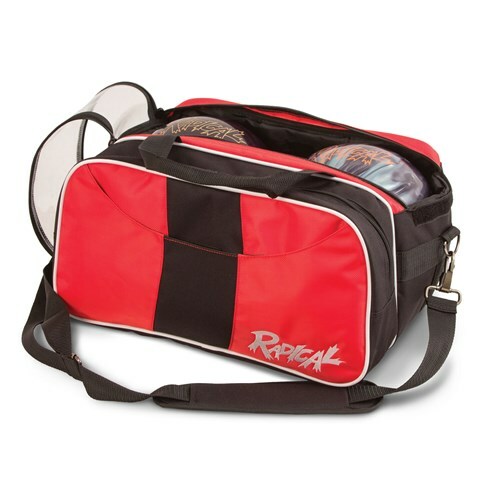 The Radical Double Tote bowling bag can hold up to 2 bowling balls along with a pair of men's size 15 bowling shoes. The transparent top flap allows you to be able to see which balls are in your bag without having to open it. This is a great feature for tournament bowlers carrying several bowling balls with them. Due to the time it takes to produce the Radical Double Tote Red/Black ball it will ship in immediately. We cannot ship this ball outside the United States.